What’s Your Book Release Marketing Plan/Strategy ? Are you currently writing a book? Do you have a marketing plan/strategy for your book release? Well, you don’t write all the time, so you need to plan. 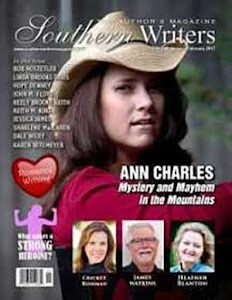 Southern Writers Magazine publishes 6 times a year with a lead time, as do most publications. 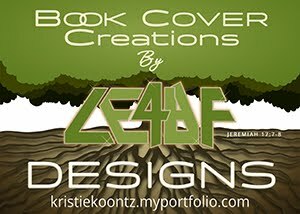 As soon as you have your cover art finalized, do a book blurb and contact publications in which you want to advertise your book release. 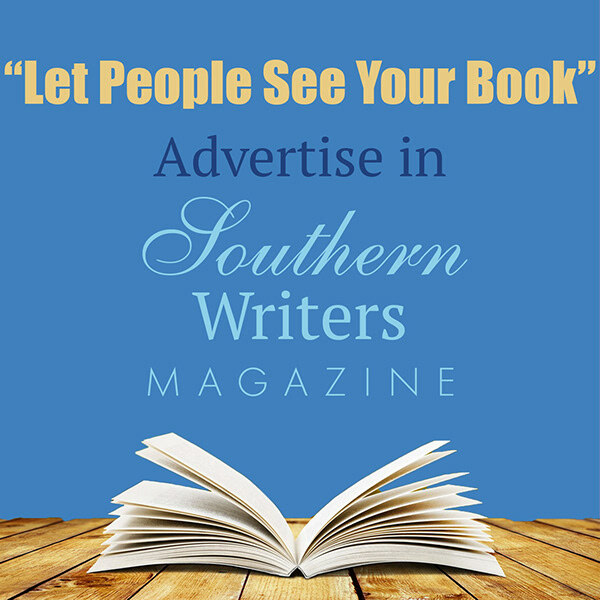 Publications have limited advertising space within each issue, so you need to make sure you don’t get left out. 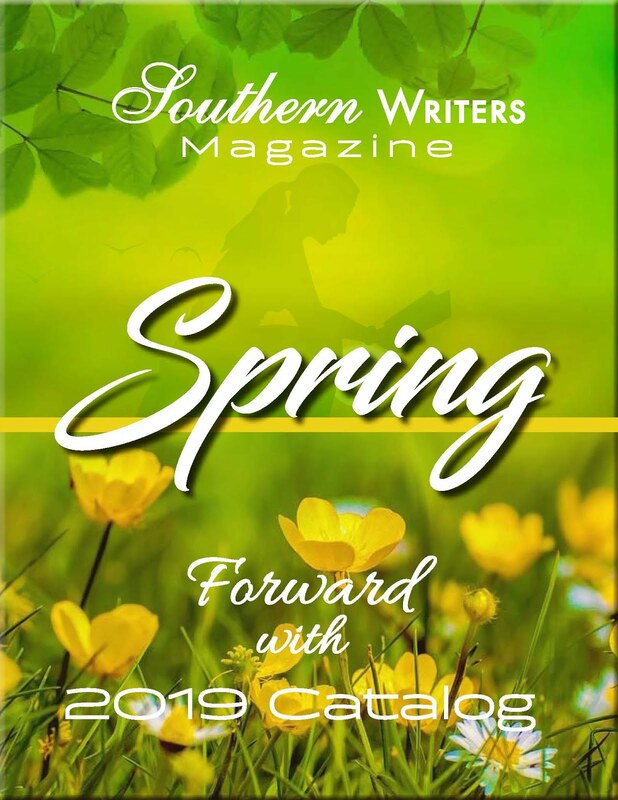 Here is the link to advertise in Southern Writers Magazine. 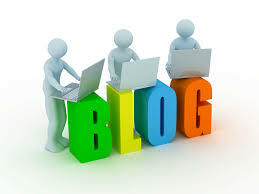 Then, look around for opportunities to do guest blog posts for various writing blogs to coincide with your book release. Obviously, you would link your appearances to your various social media sites and your website. 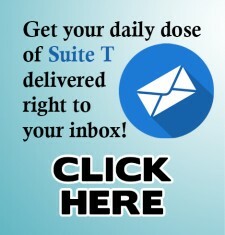 Southern Writers Magazine’s blog, Suite T offers an opportunity to promote you for free as a guest author on Suite T on Monday, Wednesday or Friday. Here is the link to the blog guidelines. You can appear on SWM’s Suite T twice a year. If you have a book releasing you may want to appear on the blog before your book releases to introduce yourself to blog readers. 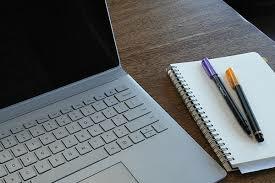 Then, prepare another blog post to appear again closer to your book release. If you let me know when your book is releasing, I’ll try and schedule close to your book release date to help create buzz about your book release. Keep in mind most blog sites have lead time. SWM’s Suite T has a 45-65 day timeline from receipt of a guest author blog post and its appearance on Suite T.
Of course, there are the traditional appearances in newspapers, at libraries, churches, assisted living homes, book clubs and any number of organizations that are always looking for speakers which gives you an opportunity to tell about your book and even sell some signed books. 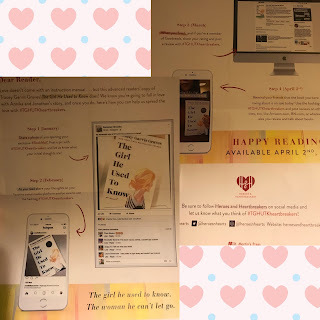 I recently received an advanced reader’s copy (ARC) of the book, The Girl He Used To Know, by Tracey Garcia Graves, a unique love story. The marketing plan from Macmillan Publishers is really brilliant. 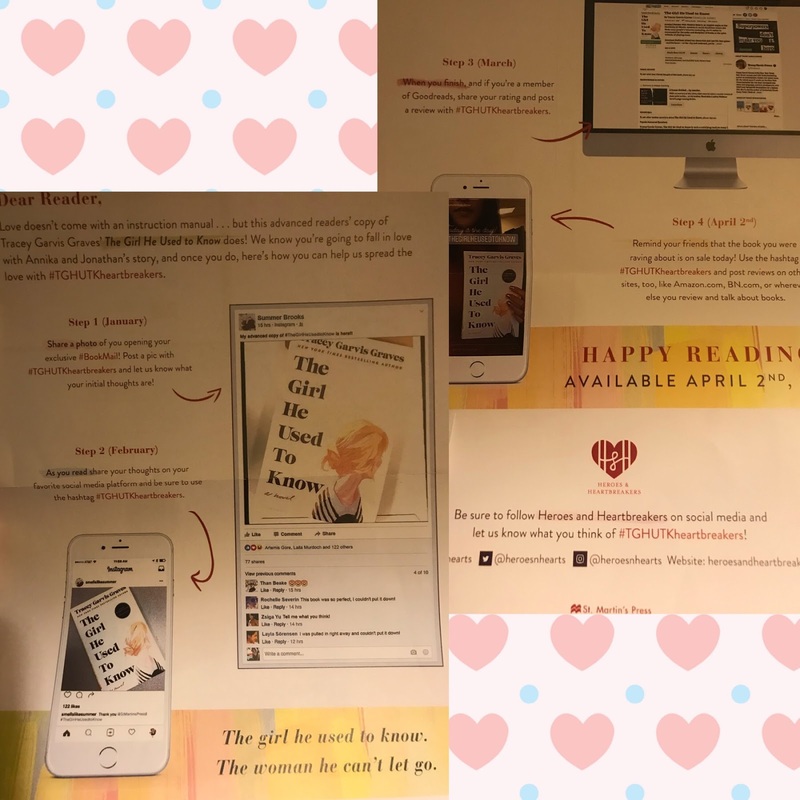 Those who received ARCs also received a two-sided sheet with instructions for helping further promote the book by using a #TGHUTKheartbreakers. I received the book in late January. The publishers requested to use the hashtag each month leading up to the book release in April on all social media links. See the pictures of the instruction sheet. Others, like me are creating book buzz using the special hashtags on social media. Invaluable promotion. The publisher can tell who is using the hashtags quite easily. It’s just like hashtags you use to help brides and grooms get copies of all photos taken in their big day. This idea is such a smart marketing plan. You can also keep a book marketing binder of promotional ideas, contacts, scheduled appearances, etc. You can print a free calendar and write in all the dates of your appearances. 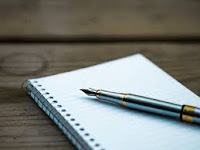 It’s a virtual log of dates to submit blog posts, follow up on blog posts, and keeping track of who and when you will appear to market your book. If you get stuck when writing your book, work on your book marketing binder. You’re using a different part of your brain to plan a strategy for your book release than you do to create and write. It’s the perfect “writers block buster.” Just give it a whirl. To quote Frankenstein’s author, Mary Shelley, “The beginning is always today.” Do something, either write or plan your book’s marketing plan every day. So I ask, “What’s your book release marketing plan/strategy? 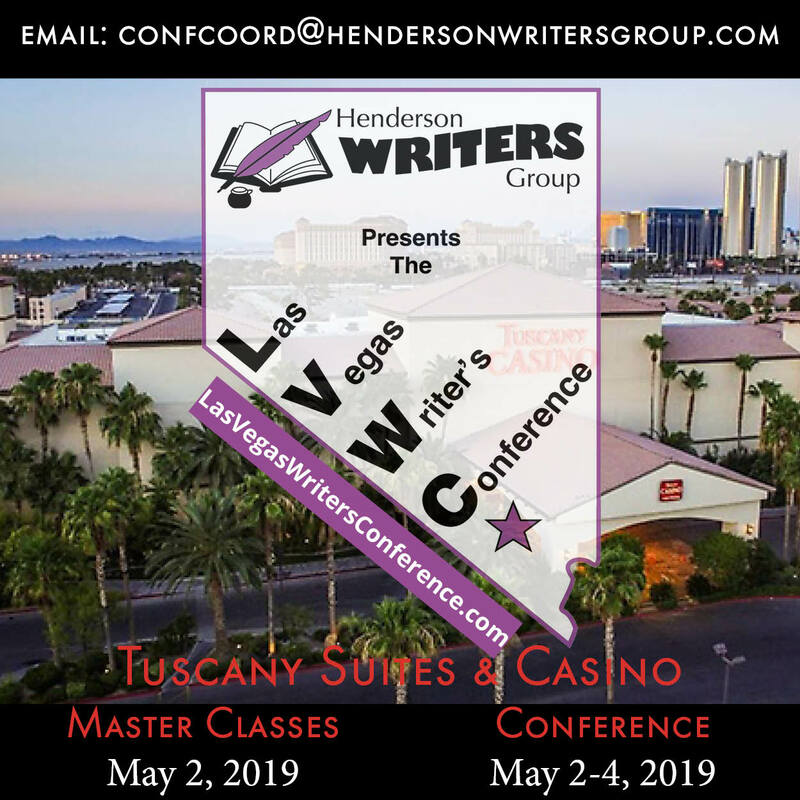 Labels: #TGHUTKheartbreakers, Annette Cole Mastron, Communications Director for Southern Writers Magazine, Macmillan Publishers, Tracey Garcia Graves, What’s Your Book Release Marketing Plan/Strategy? Have you ever started reading a book and several chapters in, had to flip back to the beginning to see if you’d missed clues as to where you were? If the setting is too generic, too Anywhere, USA, I feel uneasy, like I can’t settle into the story world because I’m still waiting for someone to tell me exactly where I am. So how can we use settings to anchor our readers? My Dad worked for Trans World Airlines (TWA) for 38 years and we were privileged to travel quite a bit. (I’ve done many an airport sprint in heels to snag the last standby seat!) Travel taught me that destinations—from big cities to small towns--have a personality, a “feel” that sets one place apart from anywhere else on earth. As writers, capturing that essence is part of the fun. We get to create a world for our readers, to invite them to travel with us to another place, whether it’s a real location or exists only in our imagination. We invite them in by painting pictures with words. My new Florida Wildlife Warriors series is set in the Ocala National Forest, which is eons removed from Miami’s glitz and Disney’s animation. 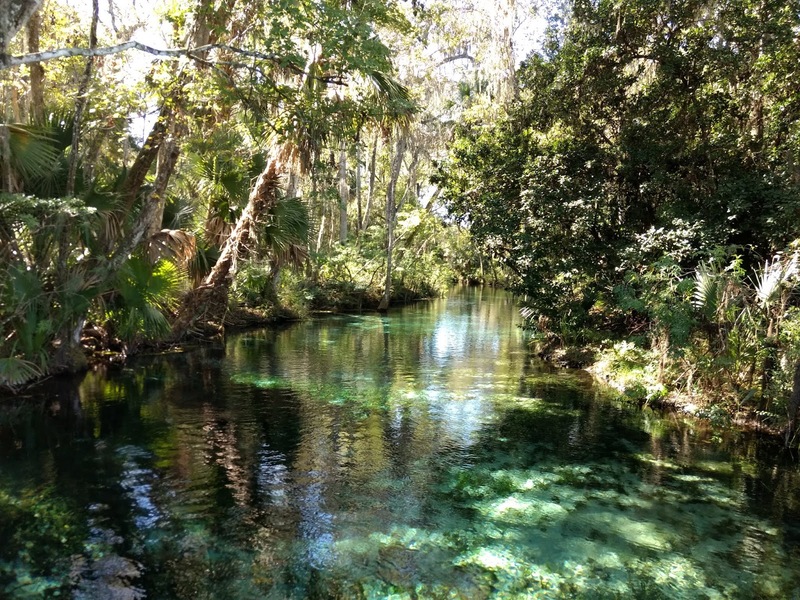 This is Old Florida, where Spanish moss drapes towering live oak trees and slow-moving ceiling fans stir the sultry air of a covered front porch, while alligators snooze along the banks of a lazy river. Can you feel the humidity on your skin? Smell the earthy scent of the swamp? That feeling of walking right beside your characters, seeing what they see and feeling what they feel, is what you want to give your readers. 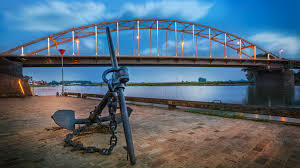 Anchor them in a specific location. Think geography, temperature, culture, architecture, smells, sounds, foods, etc. Visit if you can and take the time to inhale deeply and absorb the feel of a place. Sit on a park bench and people watch. Is the pace slow or fast? Sophisticated or down-home? High heels or flip flops? If you can’t go in person, talk to people who’ve been there, watch videos and study photos to find that “something” that sets a place apart. By sprinkling those “telling details” into your stories, you’ll give your readers the chance to not only experience a great story—but also to fall in love with a wonderful place. Labels: (Florida Wildlife Warriors #1), Angel Falls, Beyond Risk, Connie Mann, Deadly Melody, Hidden Threat, Tangled Lies, Trapped, Wait, where are we again? 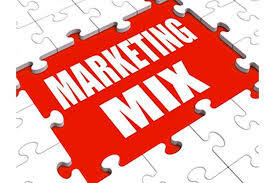 Most of you know what a marketing mix is. For those who don’t know, it is different forms of marketing used. Some of these are advertising, social media, emailing’s, newsletters, newspapers, magazines, radio, television, word of mouth, book reviews, and speaking engagements to name a few. If you know of other forms be sure and mention them in the comment section to help other authors. But as authors we have what is called our target audience. So, we must identify our target audience in order to choose the correct marketing mix which we need before putting the marketing plan together. 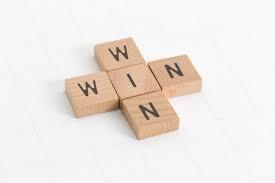 The more defined our target and marketing mix, the better results we receive. Sales are higher, and our reader base will become larger. And these readers will stay with us. As I have said many times over the past eight years getting an author’s name recognized is most important. One of the easiest, less time consuming and successful marketing tools is commenting on a couple of blogs. Why? It gets the author’s name out to a group of people the author normally does not encounter. Once that group of people start seeing the author’s name, they become familiar with it. They start looking it up. They go to Google and put the author’s name in, read about them, search out and read what they can find about the author. They go to Amazon or Barnes and Noble and see what books the author has written. And hopefully the author’s book covers are eye catching, if not, hopefully the author will make sure the next books published will have eye catching covers, the ones with a “Wow” factor. When people see a name in print…any print, over and over or hear a name repeatedly, they assume that person is important. It is human nature. So what blogs? Choose one that has big numbers and then choose one in your genre…preferably an author who has more books than you and is well known. It is much better to run with the ‘big’ boys as they say. When you do comment, make sure, along with your author name to include the title of your newest book. Audiences know famous figures from history and like my quotes on bravery from Eleanor Roosevelt, famous lines from Shakespeare, and encouraging poetry by Mia Angelo. After my speeches, I often survey my audiences to ask them which quote they like the best. One is their favorite. They like the quote from Adam; no not Adam in the Bible, Adam in my office. Adam was a student worker in my office at the University of Memphis for four years while working on his undergraduate degree. He helped with anything and everything that anyone in the office asked him to do. As graduation neared, we planned a party for Adam, but instead of us giving him a present, he gave the office one – a quote. He even framed the quote and said that he would always remember the lesson he learned in the president’s office, “Happiness is doing with a smile what you have to do anyway.” Adam added, “Without bitching and moaning.” He said he did not think those last words would look good framed in the president’s office. What was the source of Adam’s quote? It was by the well-known author, “anonymous,” and appeared on a printed calendar that was on Adam’s desk. While famous quotes may be a part of your repertoire for writing or repartee, don’t forget Adam’s quote. Your audiences will approve. What do you do when you don’t feel like writing? Gasp! Not feel like writing? Is that even a real feeling? For those of you who do this, we are not friends and you can go away. Anyway, for those of you who are occasionally afflicted with this “I don’t want to write today” thing, I have a few helpful tips on how to get past that. Sit down in front of your manuscript and edit. Sometimes when I edit, I’ll get a new idea to flesh out. That will generate some excitement about moving forward with the story. Get your voice recorder out and start brainstorming the next part of the story. Just start talking. It’s okay if you sound like an idiot or you stutter and stumble your way through a scene description, you’re the only one who will hear it. And you can edit it when you get it in the computer. Do something physical. But read the last part of your manuscript before you go. Then while you’re working out or walking around the block, you can be thinking about the next scene, fleshing it out in your mind, getting it ready to be put on the screen. Sit down in front of your manuscript and tell yourself you can’t get up until you write at 10 words. Yes. 10. Then you’re allowed to go do something fun. Because I can’t write just 10 words. I always write more. 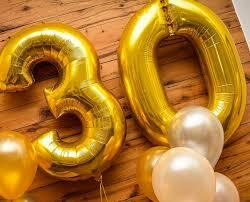 Granted, sometimes it’s only 20, but at least I met my goal! Ha. Seriously, I’m willing to bet that would happen to you too. Yes, I know you think that that last one is not really the most helpful suggestion, but it is. 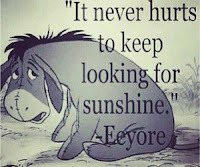 I look at it this way. Everyone who has a job has days where he/she doesn’t want to go in to work—even when they love what they do. Writing is the same thing. It’s your job. Unless you’re sick or otherwise incapacitated, you go to work. Although I will say this, like some dedicated people (who are unappreciated in the office environment) sometimes you go to work when you’re sick. The good thing is that, at least if you’re a writer and you work from home, you won’t spread the yuck. Honestly, I really do love writing. I’m very excited about each project God lets me work on. Like I said earlier, I don’t take it for granted that I get to do what I get to do. 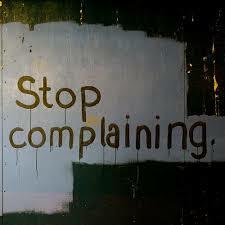 I’m not whining or complaining. I’m just being honest. Some days it’s just plain hard work and some days I’m just not in the mood to go to work. And that’s okay. As long as it’s the exception and not the rule. And I would like to also point out that these suggestions are great for pre-pubbed writers as well. You may not have publisher deadlines, but if you don’t get a manuscript finished…you won’t have publisher deadlines. So, what are some other suggestions you could add to the list? What do you do when you MUST write, and you just don’t want to? I can ALWAYS use more ideas! 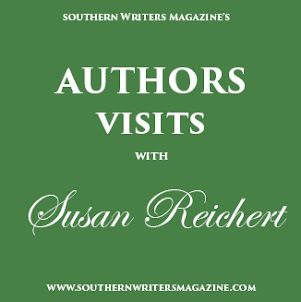 I was recently invited to a book launch in Nashville, Tenn. I was excited to go because I know people who work at the nonprofit that was benefiting from the event and because I still have friends in Nashville that I could visit. I didn’t do much research beforehand, assuming this event would be much like other book launches I have attended. I was wrong. This event ranks as one of the best book launches I have been to or even read about. 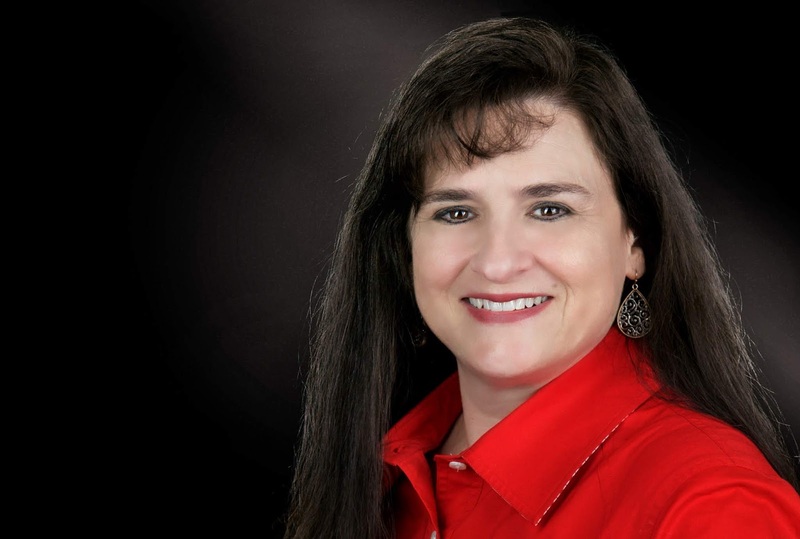 The author, Jennifer Clinger, was releasing her first book, a memoir titled Delivered:The Fragmented Memories of a Former Streetwalker. A first book is so hard to launch successfully. Sure, you have people who you know that will buy a copy. To be successful, however, you have to market your book to people who have no idea who you are. A team of people helped the author plan the event. Volunteers who know the author used their talents to bring new ideas to the evening. A team approach is also useful because each team member can invite a unique set of guests to the event. 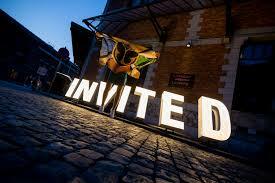 Invitations can go out to several communities just through the planners. 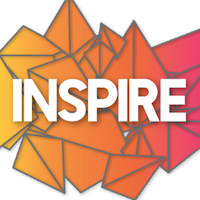 A logo was designed for the event that was eye-catching and could be used on social media posts. The logo helps brand the event and make all posts consistent. 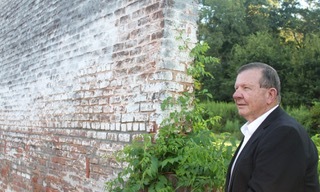 David Hutchens, a storytelling consultant, helped the author select the passages to read. A consultant can help the author know which passages will give insight into the book without revealing too much. The audience needs to be left with the desire to buy the book so they can finish the story. A wonderful group, The Bittersweets, played their music between each reading. They chose songs with lyrics that related to the experiences of the author. The music engaged the diverse age group at the event. A nonprofit group received the proceeds from the event. This association with Thistle Farms drew in an even larger audience than an author could do alone. The organization’s CEO even introduced the author. A press release was sent to many different media groups, and bloggers like me were invited to join in the festivities. The event was a winning evening for everyone. I met a new author and was entertained by a great band. The author got her story out to a very diverse group of people. We all left with something to talk about, which will allow the book to keep getting publicity. Take note, authors! A book launch for a first book can be hugely successful with the right approach. But it doesn’t have to be! The first things I do are pray, reflect, and visualize. I have a title and a cover photo before I start. Where do I get ideas? 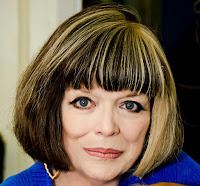 From the news, reading other authors’ books and reviewing them, and using life experiences. For example, my new release is titled A Southern Spring: A Story from a Backyard Swing. 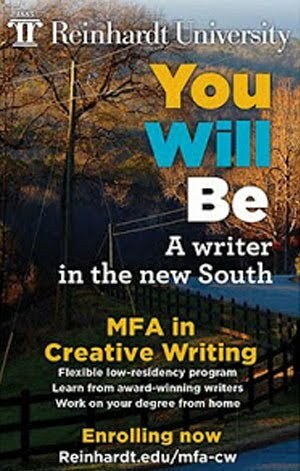 I read a book titled A Southern Season: Stories from a Front Porch Swing that propelled the idea for my latest book. In this way, I am helping fellow authors, and they help me. I left a review for them on Amazon and truly enjoyed each of their stories. 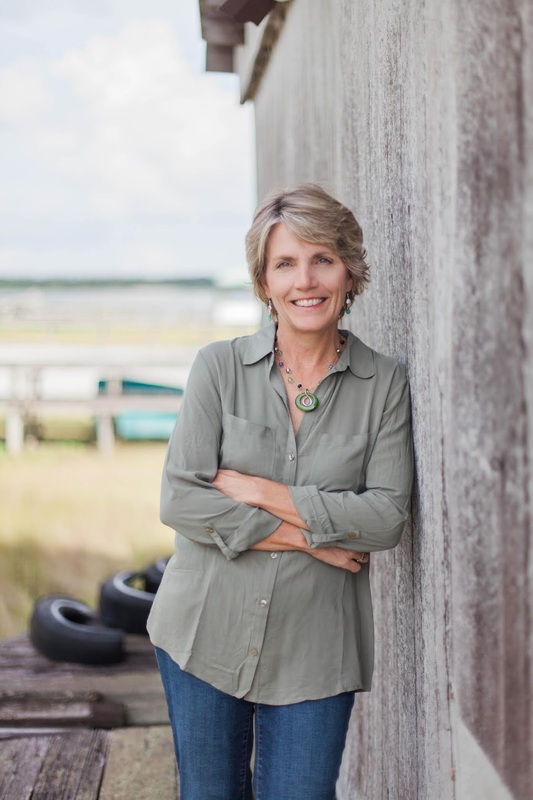 Linda W. Yezak's "Ice Melts in Spring," tells the story of a woman who lost her husband when his boat capsized. Eva Marie Everson's "Lillie Beth in Summer" is about a young widow who lost her husband in Vietnam. Eva was my writing mentor, and I have read and reviewed most of her novels. In Claire Fullerton's "Through an Autumn Window," a daughter returns home for her mother's funeral. In Ane Mulligan's "A Magnolia Blooms in Winter, "A young Southern girl returns home from New York City at her mother's request for help with a local church play. Their stories gave me kindling for my own. This is an example of how reading other authors’ work can help you and them at the same time, and to be successful in the writing world, you need to be able to work with other authors. Many times I get ideas social media or my own life experiences. For the cover of my latest one, I photographed my swing, which has two hearts on the back of it. Everyone says they love the cover. I didn’t have a lot of money to spend on one, so I was able to use my own picture for the cover. I used my own life experience in writing and using my swing as a writing spot. As a Southern girl born and reared in Louisiana, I also used my life experience. Take a step by snapping pictures you could possibly use as your own cover. Be willing to work with other authors and read and review them. As my mother always said, if you don’t have anything nice to say, don’t say anything. If you go around leaving reviews of ones after all the hard work an author goes through to write a novel, you are only hurting yourself, as my mother might say, “cutting off your nose to spite your face.” The more you read other authors, the more ideas you will gain and reading them will help improve your writing. Be positive and be encouraged that you, too, can hone your skill and craft while helping other authors, and you can write your own novel. I recently met a lady that was noted for her marketing ability. She had originated a fantastic idea for retail outlets and was sought out to speak to community organizations like the Chamber of Commerce. She began each speech with some personal information so the group can get to know her better. In telling them about her family she mentions her children, their ages and the fact that she was 12 when her oldest son was born. She says she immediately has their attention and their judgement. She then tells the group their expressions just changed dramatically. She says she feels this is due to their sudden change in their opinion of her which possibly is negative. She is aware of everyone’s explanation they have in their minds of her situation that brought her to having a son at the age of 12. She is about to clear their minds of the negativity and clear the way for her message by presenting the truth. 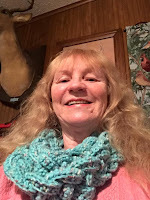 · It is true she was 12 when her oldest child was born. 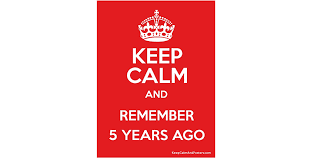 · It is true he is now 49 and she is 61. · It is true she adopted her oldest son when she was 23 and he was 11. She presented it in the way she did to get the greatest affect for her marketing message she was about to present to them. It was presented to them to teach them all they presume to be true about retail marketing could be true but is not the only truth. It prepares them to now be open minded and to listen to her message. There is a lesson in this for writers. This is not something you don’t see every day. News headlines, TV reports and commentaries many times present such a truth as a teaser to get you to listen, watch or read their story. You too can do so in presenting the truth about your story or one of your characters. You can reveal the truth in layers as needed. How do you do so? It is simple. 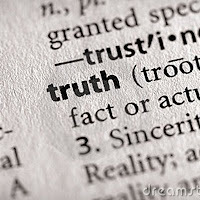 Make a list of the truths as I have done above with our speaker’s truths. I listed them in the order they were presented, slowly revealing the adoption. You too should make a list of the truths and after doing so choose how you would reveal them to your readers. You may want to do as our speaker did and lead your readers in one direction then quickly turn them in another. Present the truth as needed to benefit the impact of the story. Although I was a professional writer for thirty years, I came late to the world of fiction, only fifteen years ago. Before that I was a public relations exec, living by my pen—and then computer. My creative heroes/heroines were novelists, but I didn’t see myself in that role. I was a decent writer but feared I had nothing interesting to say. In college an English professor asked if I wrote. I replied, “No, but I think about it.” He cocked his head, saying, “If not by now, then you never will.” I was twenty. Nothing rattling around my head seemed worthy. So I soldiered on. You know, doing the usual—grad school, marriage, child, career. Until one day I took an aptitude test and saw how much I wanted to write fiction. My first manuscript, a literary novel, never found a publisher. A knowledgeable bookseller told me becoming a published author would be easier if I left literary fiction for a popular genre. Mysteries were my thing, puzzle solving drew me in. I honored my love of Nancy Drew and developed a similar character, but a bit older, forced by circumstances to find a killer. My protagonist bore a strong resemblance to the one in my unpublished trying-to-be-literary work. Both women were trying to find places in a world controlled by men, seeing the inequities but battling in a more or less ladylike fashion against them. My first mystery sold, and then the second in the series. My third was published last week, a prequel. All four manuscripts are different. Plots, settings, motives for murder. However, there’s an underlying theme. Each shows a woman buffeted by sexism. The theme doesn’t hit you over the head, but it lurks underneath all my writing. I didn’t set out to do this. It just happened. Looking back I can see signs, but I didn’t recognize these for what they were. You may not know ahead of time what will propel your fiction. Only when you begin to write does your subconscious take over and show you what your theme is. But here’s a suggestion. 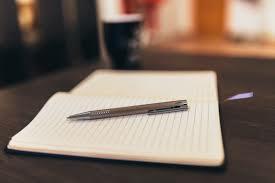 If you want to try to see what motivates you to write, then analyze what you think about most. What stories are you drawn to? Review the big questions in literature. Love and loss. Good and evil. Courage and heroism. Prejudice. Corruption. Some will draw you, others less, and you can narrow your focus. Indeed, perhaps you have a story you’re dying to tell. I did, and my plots showed what I most yearned to figure out. Now I’m plotting my next mystery. Again my heroine will have a male name, like her predecessors. She’s Sam. The others were Austin and Walter (aka Wallie). My Texas grandmother was Walter (aka Wattie), after her father the judge. From childhood on, I imagined how that male name must’ve shaped my grandmother growing up. Did it help develop her strong character and encourage her to shoot, fish, and ride just as well as any man? Yet she grew up to be a church-going matron who wore picture hats and lacey dresses. My dad was her big strapping son, and two daughters were dainty and nothing like her. But I was. To use a current term loosely, my grandmother was my spirit animal, and the path she followed has influenced not just my life but all my fiction. I never quite knew it was happening, until I looked up and saw it. Becoming a writer is a fascinating journey. Here’s hoping it will be deeply rewarding for you too. Five years ago, my wife urged me to retire from the nine-to-five daily grind to write a novel that our grandchildren would enjoy reading. The first weeks entailed countless hours of investigating the basics — the what and how — of creative writing. 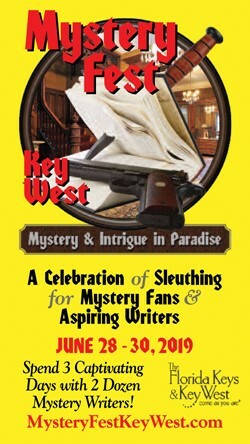 Eventually, my inquiries led me to a God-sent relationship with a writing coach and editor, Kari Scare from Three Rivers, Michigan. Thankfully, technology bridged the 900 miles that separated us. With Kari’s guidance and ample supply of red ink, I nurtured the original premise of a story. Word after word, page after page, revision after revision, Sanctuary, A Legacy of Memories emerged thirty months later. Though a few painful bumps and bruises left their mark along the way, I now proudly enjoy sharing about my legacy of love to my grandchildren. Of course, one book is never enough. Thanks to the insistence of my earliest readers and my new author-friends, a year after my first novel launched, Testament, An Unexpected Return, the sequel, continued the saga begun in Sanctuary, A Legacy of Memories, and the third and presumably final installment is being written. Each features Theo Phillips, a recently retired publishing executive, and his wife, Liddy. Their journey began after they vacated their suburban home near Atlanta seeking to return to South Georgia, near their small-town roots. However, Theo and Liddy discovered their inquisitiveness, as they seek to settle into their Shiloh home, thrusts them into the midst of scandal and dark secrets surrounding a tragic death. In the sequel, Theo and Liddy become unlikely victims of a former resident’s mysterious return and reckless scheming. Now what? Over the holidays as I began writing the third installment, I pursued a vital third question about crafting novels - why. An author must come to grips with the motivation and internal message that each story tells. After some soul-searching, I realized the events surrounding one of my characters had played out a true-to-life, relevant role within the main story. Without revealing too much of the story, Megan succumbed to being coerced into making a choice only a woman can make, but she learns in the story choices have consequences, and most often unintended and far-reaching too. No matter how hard anyone buries such a dark secret, eventually it surfaces to the light. I tried throughout the story to reveal a truth we should all realize, God knows all our secrets. He knew we would make the decisions we did long before we created them. Megan comes to realize that one can compound a lousy choice with more poor decisions that hurt others, but more often than not, God exposes our secrets to begin the healing process of a broken and contrite heart. So why did I write the stories I have written and likely will continue to write? To inspire my grandchildren and readers alike to examine their choices in life and how those choices have impacted their relationships with family, friends, and most importantly with God. To emphasize this message, throughout February, all my royalties for books sold in Coweta County, GA — where the inspiration for Shiloh began — and on Amazon so others can participate, will benefit Coweta Pregnancy Services, Newnan, GA. The campaign is duly entitled, “Megan’s Pledge.” Below is a link to find out more should you wish to take part. 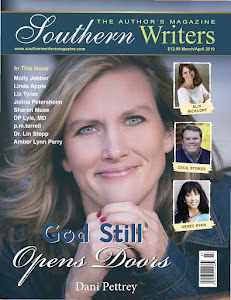 Labels: Southern Writers Magazine's blog Suite T, T. M. Brown, What Will Be Your Author Legacy? Happy Valentine’s Day, y’all. You’re a writer, so instead of a card with a funny or trite poem, you should write a love letter to someone you know. It doesn’t have to be a spouse. It could be someone important in your life who doesn’t normally hear from you about how you feel, maybe your child, a gal/guy pal, a teacher. Everyone has someone in their life that they love. It’s time to let them know. So here’s my 411 on how to write a letter for someone you love. *Use good quality paper, with a paper weight that feels good in your hands. This is not the time to use copy paper from your computer to dash off a note. Details are important. *Definitely use a pen. If you want to be fancy you could use a calligraphy pen which takes the work out of making your writing look spectacular. *Do a rough draft first to get everything you want to say in the correct order. You could actually use the Notes app for your rough draft which gives you the ability to write while you’re waiting or commuting, etc. *Details such as the stamp you use convey the thought you put into the gift to your loved one. You wouldn’t want to use a “Grinch” stamp on your love letter. You want them to feel your love in the presentation as well as the gift of your words. *Creating the letter; begin by giving an overview as to the purpose of your letter. Recall a shared memory which is unique to just you two; tell your loved one what you love about your relationship. Be sure to include how your loved one has changed your life and end with a sentence that expresses your feelings for your loved one. 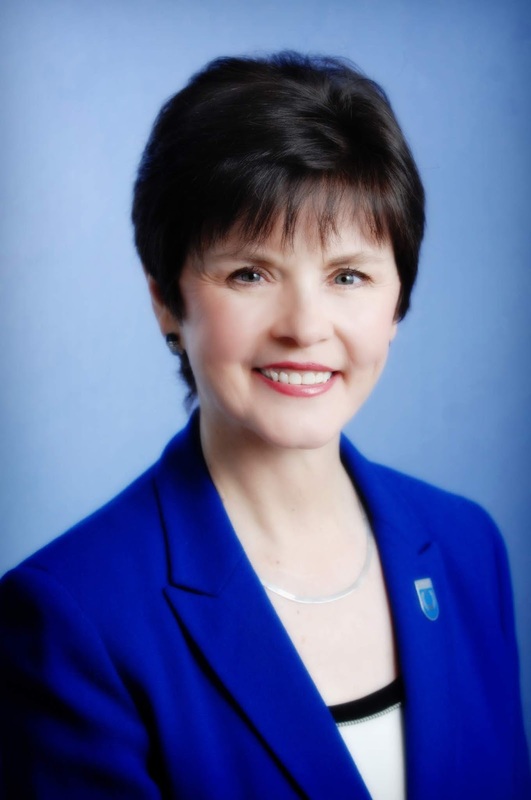 If you’re looking for more ideas re-read, DiAnna Mills SWM's, Suite T blog post from yesterday. She explores her characters language of love. Did you know, American novelist Ernest Hemingway wrote sentimental letters to actress Marlene Dietrich, who was his platonic best friend? He wrote approximately 30 letters between 1949 to 1959. According to an article by Dietrich's daughter, Maria Riva, explains their fascinating relationship New York Times article. 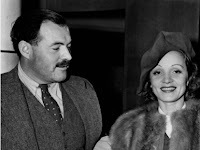 One of the quotes Hemingway wrote to Dietrich was, "I can't say how every time I ever put my arms around you I felt that I was home.” Awe, how beautiful to read those words. Doesn’t it make you wonder how Dietrich felt when she received them? She loved Hemingway’s letters enough to keep them. 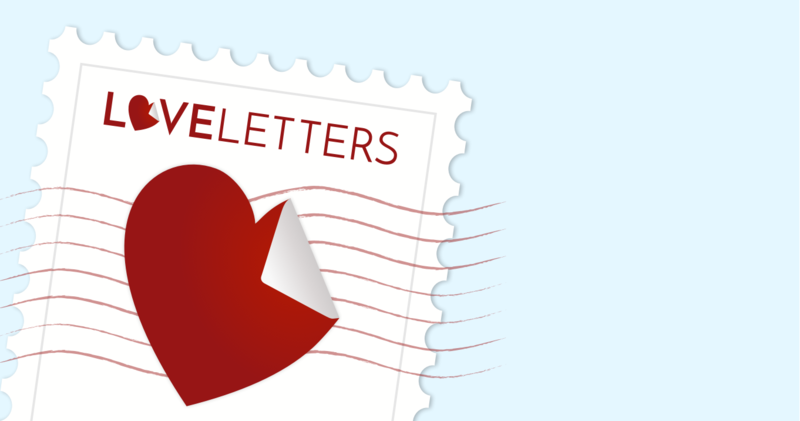 Are you ready to write your own love letter to someone you love?